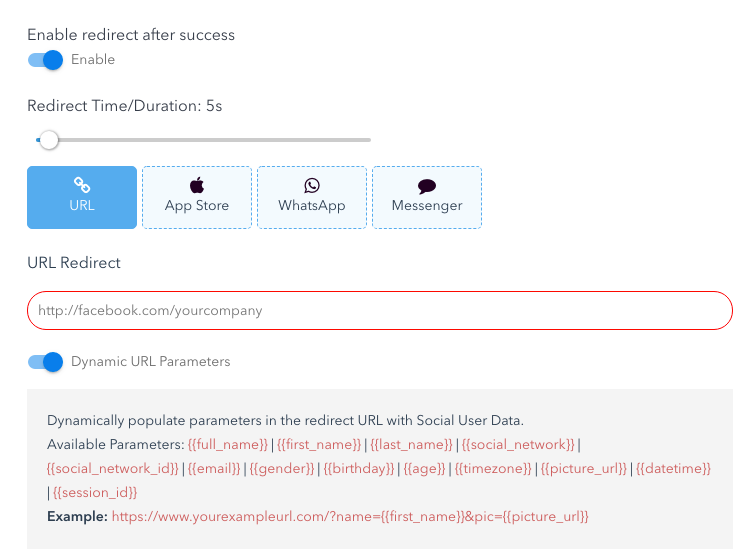 Added ability to Enable and use Dynamic URL Parameters in the Redirect URL. Campaigns >> Campaign Builder >> Redirect tab. 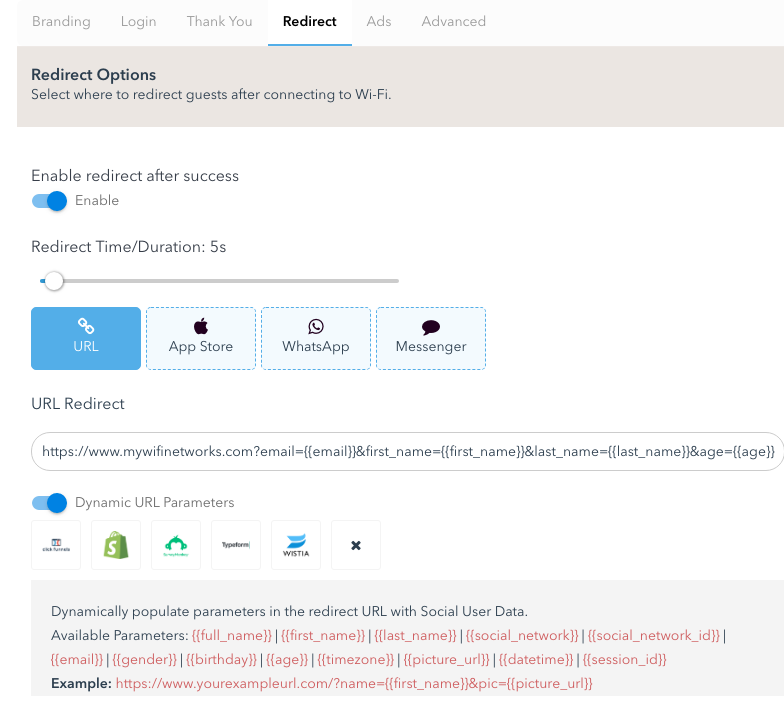 To use "Dynamic URL Parameters" you must have "Enable redirect after success" set to ON and "URL" selected as the Redirect option. There are several pre-set Apps available for your selection, which will append the appropriate Redirect Parameters for that specific App. You may also customize the Redirect URL with the optional parameters. Please note that the parameters are only available IF they are collected from the respective Login method that the Guest performs the login process with. Different Login methods and their respective App scopes and customizations may offer some or a limited set of the parameters listed.